Last month, we saw two photos allegedly presenting a OnePlus 6 prototype - a large phone with an iPhone X-like notch, a centered dual rear camera, and a fingerprint scanner below it. Now, we can take a look at another image that supposedly also shows OnePlus’ next-generation smartphone. The new image - seen above - comes from trusty Evan Blass (aka @evleaks) and partially exposes the rear, bottom, and left side of what could be a real OnePlus 6. The phone’s rear has a distinctive texture, so it’s different from the shiny back seen on the previously leaked photos. However, the fingerprint scanner and the dual camera match the ones revealed last month. The bottom of this alleged OnePlus 6 includes a USB Type-C port, a speaker, and a 3.5mm headphone jack (as you may know, unlike other smartphone makers, OnePlus is quite fond of standard audio jacks). We can also notice a “Designed by OnePlus” etching on the back of the new handset. All in all, the OnePlus 6 might resemble the recently announced Oppo R15 (as widely assumed), but only when viewed from the front. Its rear seems to be completely redesigned. The new OnePlus flagship phone is expected to pack powerful hardware, including a Qualcomm Snapdragon 845 processor and up to 8 GB of RAM. We might have to wait until June to see the handset hitting the market - let’s hope the wait will be worth it. A micro USB Type C port??? The back looks gorgeous! May be my next. And will outperform both...as usual. It will. Just like the OnePlus 5T outperforms the both the iPhone X and the Galaxy S9 Plus on all speed and performance tests. If the OnePlus 6 gets a decent camera then there is no reason to buy Galaxy S9 or iPhone other than being a fanboy. Outperforming in just speed tests doesn’t make it outform IPhone X and Galaxy S9 as a whole. Oneplus devices have never actually outperformed their iPhone counterpart. Oneplus wins those dumb app loading test but only because of lap two were the ram is the biggest factor, the iPhone smokes it on lap one which is what really matters, all benchmarks have the iPhone destroying all android rivals as well. I like oneplus phones just done't say stupid s**t buddy. One plus phones run android. that automatically makes them better than any iOS device. My post wasn't about better or worse, it was about performance. I love both android and iOS, I've owned more android actually, I know how great it is. You're obviously an android fan though, I just don't like biased options but you can keep throwing them around mate, doesn't matter to me. That'll show everyone. Those nasty thieves taking other corps ideas. I'm sure everyone who reads this will steer clear of this immoral company. Why can't they innovate and never ever copy anyone else like Samsung, Apple, HTC, Sony, and LG etc? LOL! Innovation needs workforce which needs money which will make the device expensive which is not what OnePlus wants. But they did innovate Dash Charge though. Still no front facing speaker? Nit picking, but the small things matter. Why does the rumor mill say it will come with a finger print scanner built into the screen if the leaks show it at the back? Unless there is some sort of hybrid system going on here. Maybe it'll have both, like the Porsche Design Mate RS from Huawei. I think that idea's a long shot though. Nope, no way. Oppo's OnePlus boys have jacked the price, lied, sold crap and their software is always buggy, not to mention their lack of hardware support. 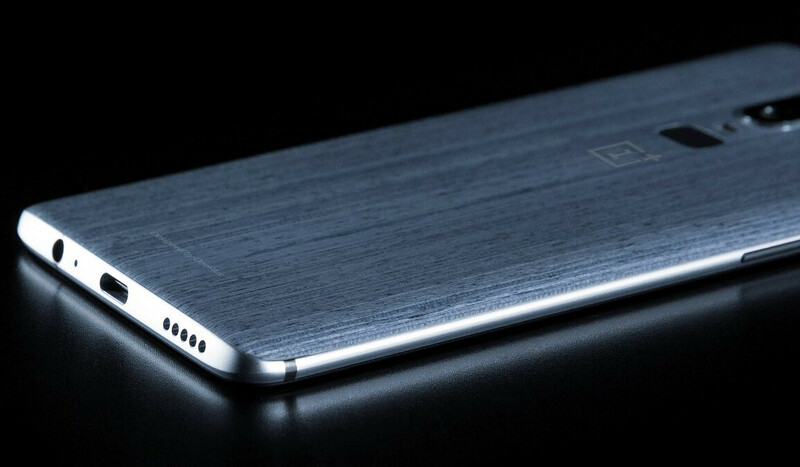 thats a oneplus 3/3t with a dbrand skin whats the hype about?? Maybe the skin, but not the phone. I love the look at the back. Nice placements of cameras and fingreprint sensor. Is it me or the back image of the first image looks like someone put a dbrand skin on the device? This is what OnePlus 5 should've been. It's good to see them correcting their mistake by bringing back distinct designs unlike the 5/5T which was a blatant copy of iPhone. Please. Make it IP68 rated. This is the only reason holding me back from buying a 1+.